This 3rd Grade Place Value Quiz could be taken at the end of the chapter. This quiz has ten problems: seven multiple choice, and three matching/ drag and drop problems. Third grade students will identify place value of whole numbers through thousands. They will also round numbers to the nearest ten or hundred. 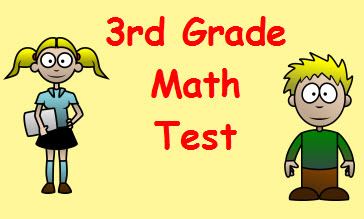 Return from this 3rd Grade Place Value to the Elementary Math Tests , 3rd Grade Math Tests webpage, or to Math Tests.